CHICAGO, Ill. – John F. McDonough, President & CEO of the Chicago Blackhawks has joined the Special Olympics Illinois Foundation Board. The Special Olympics Illinois Foundation is a 509(a)(3) supporting foundation that supports individuals with intellectual disabilities served by Special Olympics Illinois with an alternative revenue stream in perpetuity. The Foundation provides resources and support for program innovation and athlete growth for non-recurring budget items such as USA Games and World Games, capital expenses and technology advancement. McDonough was named President & CEO of the Blackhawks in 2011, after joining the organization as President in 2007. Under his guidance, in what Forbes Magazine has called “The Greatest Sports-Business Turnaround Ever,” the Blackhawks have revitalized the team’s profile and re-energized its fan base. The Blackhawks achieved their “One Goal” of a Stanley Cup championship in 2010 and again in 2013. 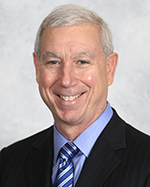 Prior to joining the Blackhawks, McDonough served as President of the Chicago Cubs. During his 24-year tenure with the Cubs, the team won the 2007 National League Central Division while setting an all-time franchise attendance record. Special Olympics Illinois is a not-for-profit organization offering year-round training and competition in 19 sports for more than 21,300 athletes with intellectual disabilities and nearly 13,000 Young Athletes ages 2-7 with and without intellectual disabilities. Special Olympics changes lives by empowering people with intellectual disabilities to realize their full potential in sports and in life. Special Olympics programs enhance physical fitness, motor skills, self-confidence, social skills and encourage family and community support. If you are interested in learning more about Special Olympics Illinois, volunteering or providing financial support to help make Special Olympics programs possible, contact your local Special Olympics agency, call 800-394-0562 or visit our website at www.soill.org.